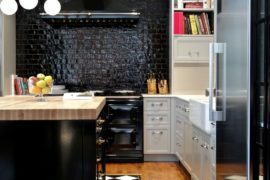 Deciding on what colors to choose for your kitchen walls, and what appliances to get can often be a challenge, but when it comes to choosing a kitchen backsplash the options are limitless and can feel like a daunting task. 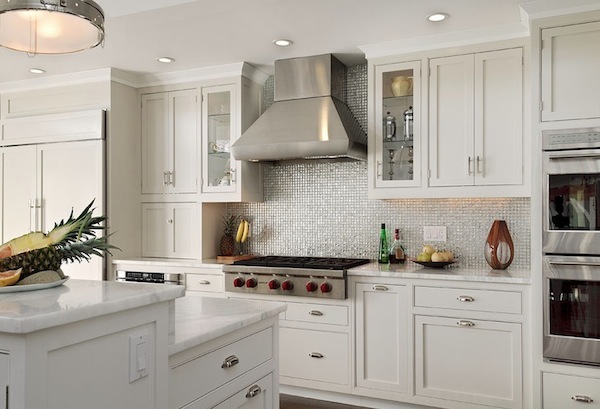 Whether you are choosing a backsplash strictly for function or design, or you’d look a mixture of the two and still fit within your design style you could be wondering how to tackle this kitchen design challenge. 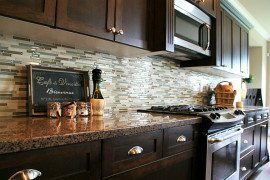 If you are ready to tackle on a do it yourself project of installing your own backsplash or you are going to hire a professional, here are tips to help you decide. 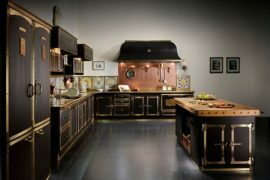 Every kitchen has its own unique style or voice that speaks to the heart of the home. 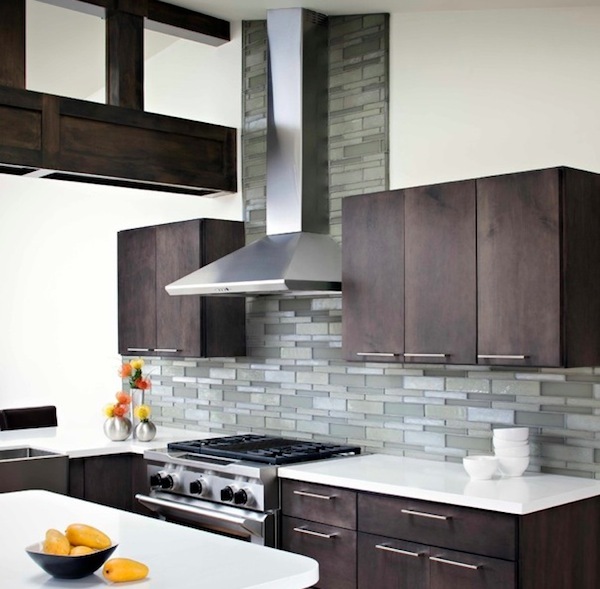 Whether you have a traditional, contemporary, eclectic or transitional design your backsplash should “follow suit”. This means, create the same ambiance with your backsplash. Tile manufacturer’s now offer designer lines that speak directly to consumers who want a one-of-a-kind look. 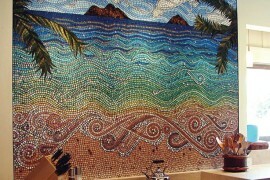 Look for non-traditional mosaics, and tiles that look handcrafted or custom. While you have to spend a lot on your kitchen backsplash but you also don’t want to see your backsplash in all your neighbor’s homes either! 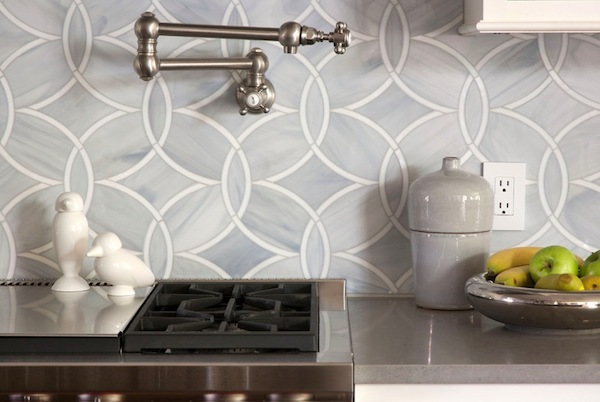 Is your personality reflected in your backsplash? Are you an eclectic homeowner that loves a bit of glam in your kitchen? Try adding a metallic backsplash that reflects light and creates an eye-catching focal point behind your stove and countertops. If you prefer artisan touches, why not opt for a mural or a hand-crafted design from a local artisan in your region? You will be surprised how many unique designs can show off your personality through the unique placement of backsplash tiles for your kitchen. 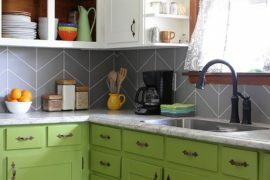 This provides a wonderful canvas for new colors, shapes, and an exciting layout than you may have dreamed about but never thought it could be made into a backsplash. 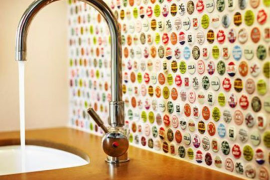 What about a mural-type backsplash? While conventionally backsplash tile goes on the back wall of where the kitchen counter and cabinets lay many kitchen designers are being creative with new layout ideas. 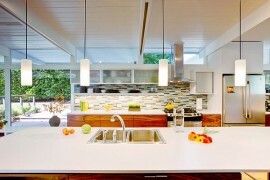 Consider using the tile to accent an architectural feature in your kitchen. This range hood is made even more dramatic with tiles highlighting the exhaust pipe to the outdoors. If you thought you have to be confined by small tiles that don’t suit your style, think outside of the usual and go for an assortment of different sizes, colors, finishes and extend tile around adjacent windows, doors and other architectural features! 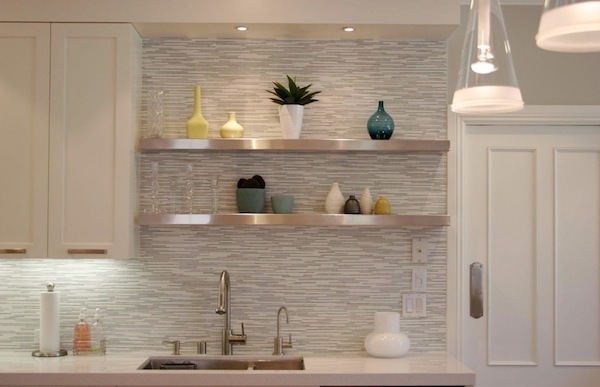 Choosing a backsplash can be one of the design decisions that can leave you feeling overwhelmed. 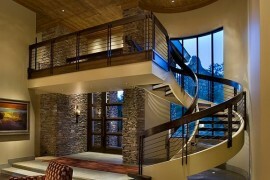 Take a look at the mentioned ideas and see which of them fits your home. Regardless of your size kitchen, style you prefer or your personality there is a backsplash to match you perfectly. Take the guess work out of choosing a backsplash and marvel in the fact that you just improved your kitchen one hundred percent.